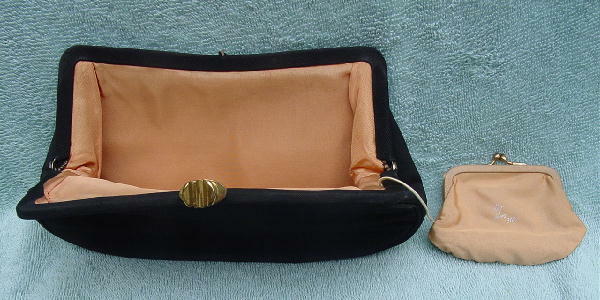 This vintage black grosgrain fabric clutch purse is an HL Bag. It has an elevated open ridged gold-tone closure and a light cantaloupe-peach (probably acetate) lining. 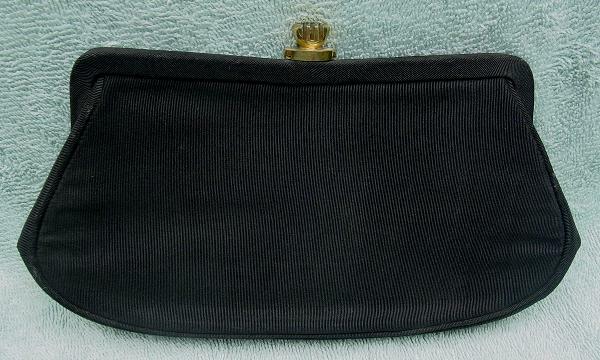 There is an attached (by an elastic cord) fabric change purse with a bypass closure.